Going green almost cost a homeowner a lot of green over a mix-up. Tesla builds fast, energy efficient cars and the company is becoming a force in making homes greener by producing and storing solar energy. 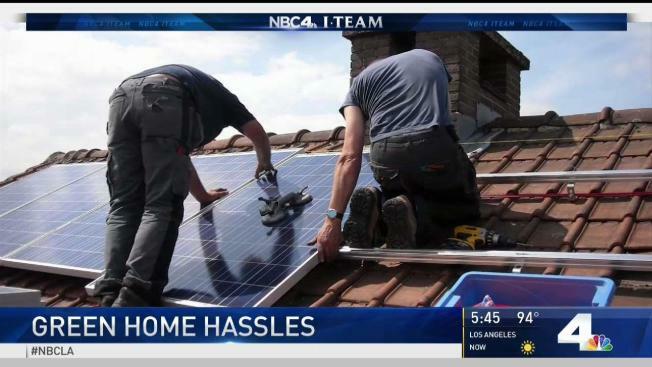 But an LA man accuses Tesla of damaging his home, saying the company agreed to pump the brakes on the installation of a solar energy system when the price suddenly increased by thousands of dollars. The homeowner and Tesla both agreed to suspend doing any work until a price was finalized. The problem is Tesla never told its contractor of the change in plans. Rodney Lazar is evolving from green thumb to a green lifestyle. Solar powered lights show off his gardening at night. His next step was a solar-powered home. "I think it adds a lot of value to the home, the concept of storing energy," Lazar said. Last spring Lazar turned to Tesla to accelerate going green. He'd reached an agreement for installation of solar panels and later, the Tesla Powerwall battery. "My $5,000 estimate they had given me suddenly became $17,000," he said. He also said this happened days before work was to begin. Tesla says Lazar had two contracts: one for solar and another for the battery, and it was the cost of installing the battery that was increasing. There are tax credits and rebates that also impact costs and he became confused on what he'd be paying. 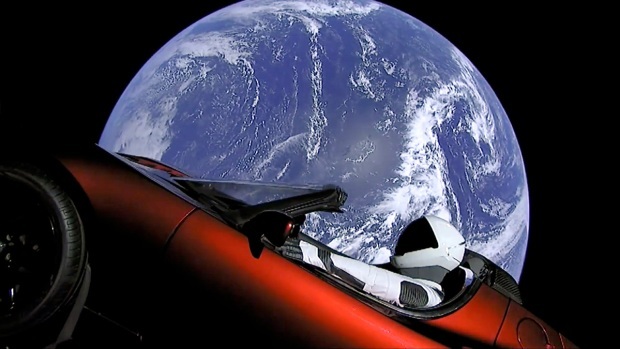 Lazar told Tesla to pump the brakes. In an email, a Tesla rep acknowledges Lazar's request. The rep writes: "In order to give you more time to think about how you want to proceed we have temporarily removed you from the roof schedule as per your request." Then, three days later, Lazar got a surprise in his backyard. "I left for work Monday, I come back and look in my backyard and I'm like, 'Oh my god. What's happened?'" The north section of the roof was gone. Tesla never told their contractor the work was postponed. Two days later and before Lazar could have the roof inspected, they sent someone else. "They went ahead and decided on Wednesday for a second time to send a roofer to try and come back and fix it without my approval," he said. "You can actually see through the roof." There are misaligned tiles, and gaps showing in the repair work. They should fit like a puzzle. Lazar says his own roof inspector recommends replacing the entire roof. It has to be a full replacement because they can't guarantee it won't leak. Tesla apologized for the mistake but balked at Lazar's demand for a fix writing: "That as a result of the roof work. You are now requesting that we either give you a free re-roof of your entire home or free solar plus a free power wall." Tesla offered to fix the roof and $250 credit toward services. Lazar says credits are for customers and at the time his roof was ripped off, they hadn't agreed on a price and he hadn't paid tesla a dime. They think I'm a customer that's angry," he said. "No you've damaged my home, you need to properly fix my home." In a statement to the I-Team, Tesla says they want to fix the roof but Lazar won't let them back on the property. The north side of Lazar's roof hasn't had tiles in a month but both sides are now working to get the roof inspected and come to an agreement on a fix. Editor's Note: The headline for this story has been changed to better reflect the Tesla product in question. Rodney Lazar accused Tesla of damaging his roof when installing solar panels, not a Tesla Solar Roof, which is a separate product that also harnesses solar energy.